It's very easy to get and set up (it's right beside the airport exit so you can get it after immigration and baggage). Will definitely use this again! 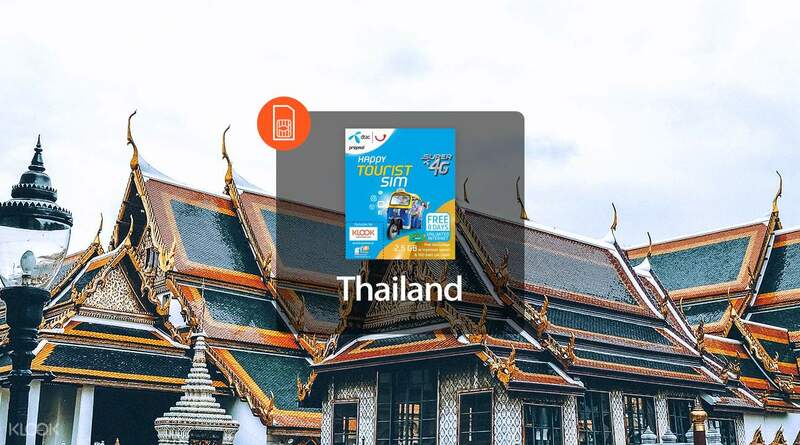 Stay connected with your family and friends and tell them all about the exciting vacation you're having in Thailand, all without crazy high roaming costs, with this unlimited data DTAC Happy Tourist Super 4G 8 day SIM card. Stay on top of your emails, share cute holiday photos, and get help with directions without any hassle at all with the SIM card's lightning-fast web speeds using a 4G connection (depending on the area.) Need to call a friend in Thailand, or maybe your accommodation or tour guide? 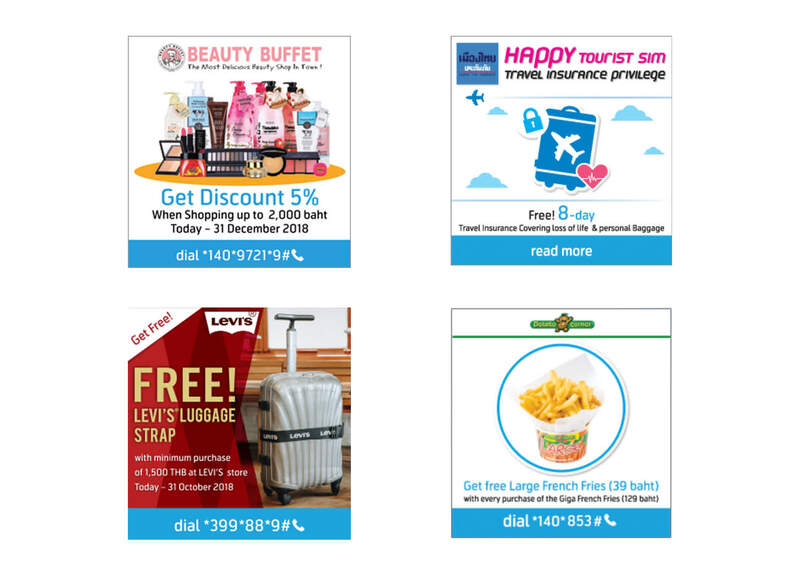 You'll also get free calls to other users of the Happy Tourist Super 4G SIM card, as well as 30 minutes' worth of calls with THB100 call credits. Convenient pick ups right after arrival are available at BKK international airport - just head to the DTAC counter, show your voucher, and let them help you activate the card before you start your adventure in Thailand! Claim it near gate 7 after customs. Staff will help u install the sim. Fast internet connection to book a grab car and check google map. Able to do voice with call my friends in bkk. Just enough for a 6-day bangkok and pattaya tour during songkran festival. Claim it near gate 7 after customs. Staff will help u install the sim. Fast internet connection to book a grab car and check google map. Able to do voice with call my friends in bkk. Just enough for a 6-day bangkok and pattaya tour during songkran festival. The 4G sim card was very useful! The connection is very fast. I even used my personal hotspot. It allowed my friends to connect. I recommend this. The 4G sim card was very useful! The connection is very fast. I even used my personal hotspot. It allowed my friends to connect. I recommend this. I love my internet access with DTAC SIM super enjoy. So friends buy your DTAC sim online because its cheaper. I love my internet access with DTAC SIM super enjoy. So friends buy your DTAC sim online because its cheaper. Very easy and convenient. I booked this about 5 minutes before picking it up in the counter itself. The staff will promptly assist you; just show voucher and passport. They will be the ones who will insert the new sim in your phone, make sure it works and they will put your (original) simcard in the packaging as shown in the picture so it won’t get lost. The internet is fast and can even be tethered to another phone. Must have for maps when touring. Very easy and convenient. I booked this about 5 minutes before picking it up in the counter itself. The staff will promptly assist you; just show voucher and passport. They will be the ones who will insert the new sim in your phone, make sure it works and they will put your (original) simcard in the packaging as shown in the picture so it won’t get lost. The internet is fast and can even be tethered to another phone. Must have for maps when touring. Good for searching the web,I have no problem with it. Good for searching the web,I have no problem with it. Signal is okay. The price is also reasonable. Highly recommended! Signal is okay. The price is also reasonable. Highly recommended!